Now that the training leading up to the meet is complete it's GAME-TIME. On meet day there are a number of variables that can potentially have an adverse effect on your outcome if not kept in check. Keeping your stress levels at bay while only having to worry about performing is crucial. This is where having a coach available to carry out your game plan comes into play. Attempt selection/submission, loading weights during warmups, managing time between attempts, and real-time feedback and adjustments are all elements that are addressed. This enables you as the lifter to do what you came to do which is to PERFORM. "Jason’s meet experience and attempt selection is what sets him apart from my previous preparation. Anyone can read a book and setup a plan but everything isn’t black and white on the platform come meet day. " Meet day coaching has a base fee of $150/lifter but varies depending on travel/location, the number of lifters we are coaching, and whether or not we had already planned to attend the competition. A list of events where Iron Arena lifters are scheduled to compete can be found here. We provide Game Day Coaching to both Iron Arena members and those with no affiliation. 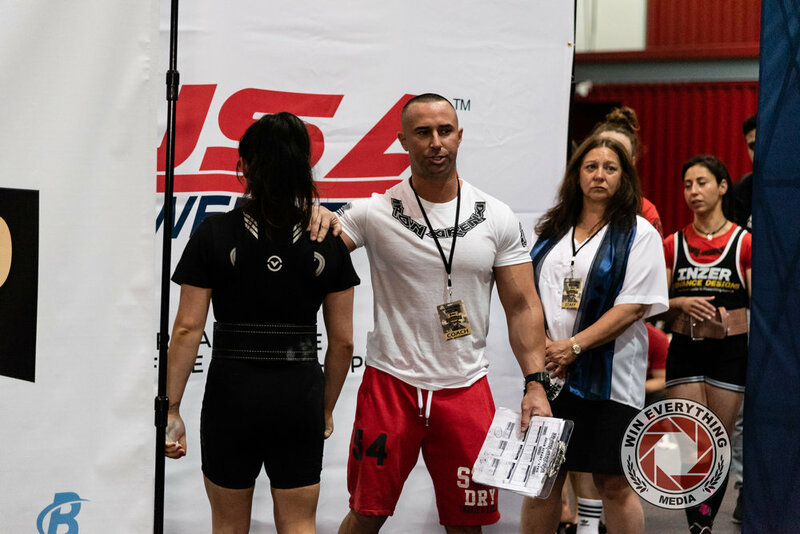 Prior to working with us, lifters are required to fill out an online questionnaire that includes a number of questions about past meet performances, current lifts attained in training, goals for the contest and a number of logistical questions. Recent video footage of heaviest training lifts in each discipline leading up to the meet (singles, doubles, triples) are also required. One of the hardest things about letting someone else guide you is “Establishing Trust”. I let go, You led and I followed and Victory sure is a sweet blessing.